In anticipation of the show opening next week, we've teamed up with OOAK to present the OOAK Maker Spotlight series - a glimpse at the story, process and preparation of 7 select participating vendors. Take a peek inside the creative life of Amy Beaith-Johnson, owner of PLANTiful. What steps lead to the founding of PLANTiful? My roots are in eastern Ontario, where I grew up on an acreage and we grew a large garden, had our own honey bees and foraged for ingredients like apples in abandoned orchards, and wild strawberries and blackberries too. My mom made me beeswax cream to help keep my skin soft after I was diagnosed with primary lymphedema at age 5. With lymphedema comes a high risk of infections, which means keeping your skin soft and moisturized is really important. The beauty of this all natural beeswax cream was something I took for granted and didn’t truly appreciate until I was much older. When I tried to find natural products that would help my skin, every product that claimed to be natural, was greenwashed and full of toxins. This inspired me to start researching and experimenting with making my own. What started out as products that I was creating for myself, became a hobby, then grew into a small business, as more friends, family, and word of mouth spread about our unique herbal skincare company. What core values keep your brand strong? Herbalism: Sharing the healing power of plants through our products. Plants have amazing properties for repairing soothing, calming, and softening the skin. Local: We source our ingredients from other small organic businesses and farms as much as possible. We source our beeswax, honey, heritage oats from local farms. We sustainably forage for ingredients in the Edmonton area such as lilacs, wild rosehips, and mint. Sustainability: We plan out our products from the perspective of sustainability, looking at the full lifecycle of the product from ingredient sourcing, to production and packaging. 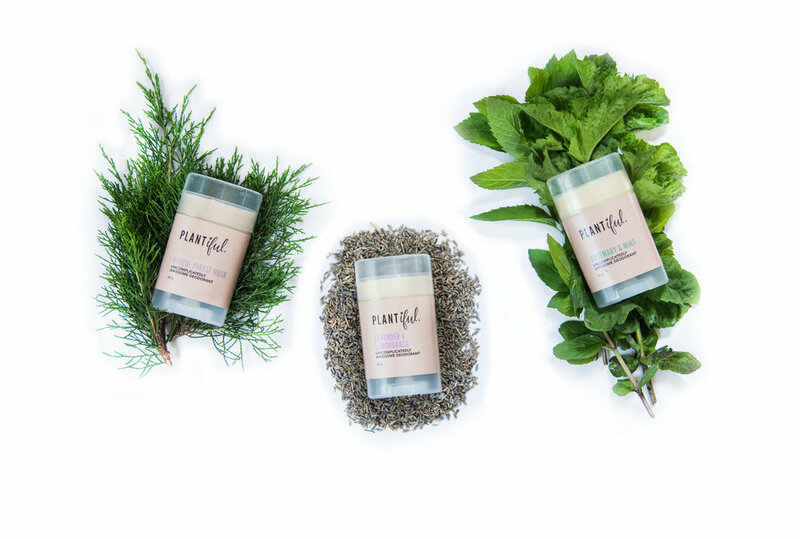 We don’t stop there and want the customer experience to be awesome which is why we include items in our packaging like plantable soap wrappers that can be planted to grow wildflowers, making it a product that gives beyond its purpose. We are a small company and try really hard to keep our footprint as small as we can. Toxin-free: We choose toxin free ingredients and packaging. We source only organic ingredients and as much as possible from small, local farms. We use glass and cardboard containers to reduce our use of plastic in our packaging. Toxin-free is important for our skin, our waterways, and our ecosystems. When you think about that it only takes 26 seconds from the chemicals in personal care products to enter your bloodstream, as well as what washes down the drain into our rivers, going toxin free does really make a difference. Transparency: We strive to be a fully transparent company. We believe that truth in labelling is so important from a health, safety, and environmental perspective. We guarantee that our labels will list every ingredient that is in our products! My inspiration comes from a few different places. One, my heritage of growing up on an acreage, using, locally grown and sourced ingredients. Two, my diagnosis of lymphedema. It took me a long time to get to this place where I can talk about it and use it as a driver for creating something that can help me and others, rather than hoping it would go away. The third source of inspiration is my two children. I want them to have toxin-free products for when they are little and when they grow up, as well as a chance to be part of a movement to live a more sustainable, local-minded, toxin-free life. I love including them in parts of harvesting ingredients or helping in the garden, so they learn about plants and where our food as well as our herbal medicine comes from. I’m sure they will get more involved in the business as they get older and can’t wait to teach them more! The fourth source of inspiration is our customers. They inspire with their questions and requests. When we design a new product, we reach out to our customer base to invite them to be testers and share their feedback if the product works for them. We really love this part, and so do the customers. It’s really fun as well as useful to get their input which I feel helps us create an even better product in the end. Designing and producing herbal skincare products is both an art and a science, which is why I really love it! I always had a hard time choosing courses in university and flip-flopped between the arts and the sciences as well as dabbled at working in greenhouses tending plants. It’s amazing to think back to that time and realize that I created a company and profession for myself that relies on all these elements that I enjoyed when I was younger. We started in the summer planning out our production schedule and ordering ingredients, packaging, etc. I will definitely admit it’s been a big learning curve for us to prep for this scale of show as first time OOAKers this winter and we had a few missteps and have had some late nights as I’m sure many artisans have, but we are so excited to come to the show! We have a really neat booth design that we hope you will love! My husband is an architect and LEED certified, so he had a great time designing a new booth for us that was sustainable, beautiful and helped tell the story of PLANTiful! Shopping small is important to us because it helps support the local economy and other small businesses such as ourselves. We get great joy from meeting our customers and also buying from local businesses and knowing who our producers and growers are. For more of Amy's work: plantiful.ca, or meet her in person at the show! @makersmovement Instagram feed for contest details.